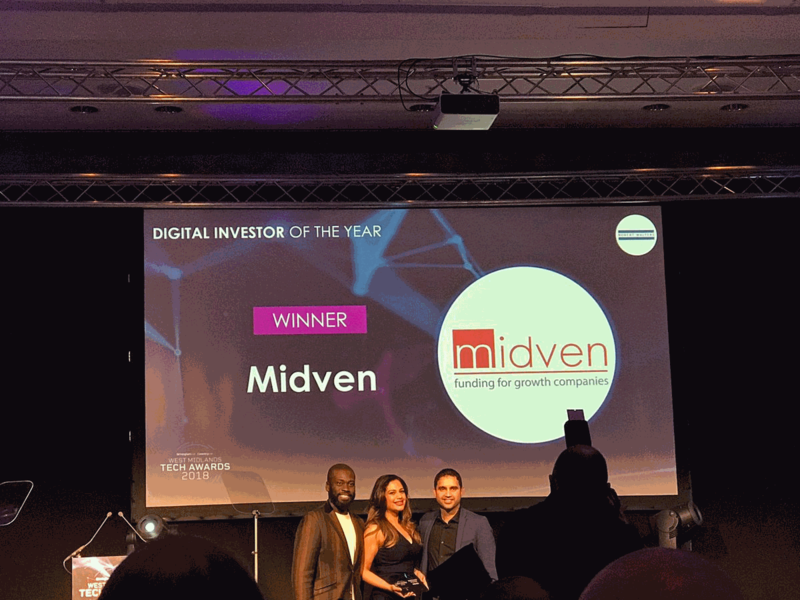 On 13th December, the Midven team attended West Midlands Tech Awards at The ICC Birmingham. We're delighted to reveal that we won our category and have been named 'Digital Investor of the Year'! We also celebrated the success of a number Midven portfolio companies honoured. Big congratulations to Learning Labs who won the 'Innovation in Education' award; Unique IQ for their finalist position in the 'Innovation in Medicine and Health' category; and Sarah Dowzell from Natural HR for her finalist position in the 'West Midlands Woman In Tech' category. 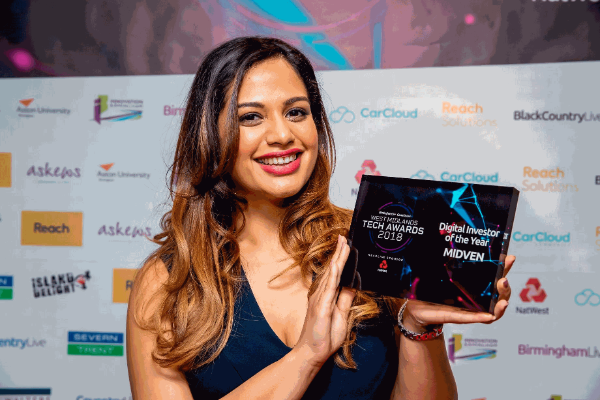 The awards highlighted our region's outstanding innovation, creativity and talent, and celebrated the West Midlands' spot as the largest tech hub in the country outside of London. 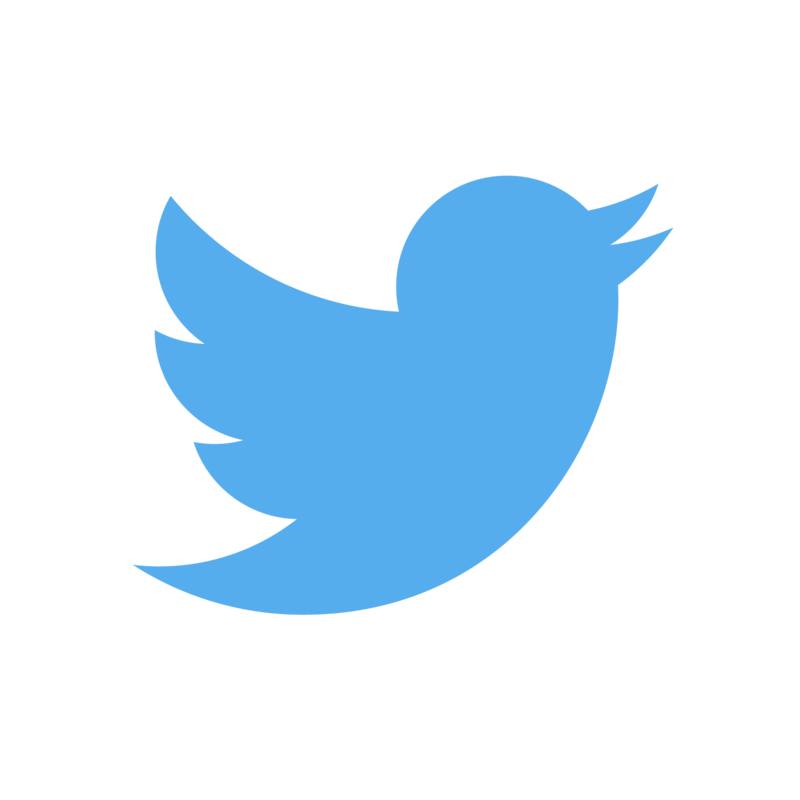 We're so proud to be a part of such a fantastic community. Assembled Electronic Solutions (AES) - The £250,000 investment into the Warwickshire-based electronic design and development company will allow them to commercialise a range of their proprietary technologies, recruit and train additional staff, accelerate product development, and improve their sales process. eTravelSafety - Midven's £500,000 equity investment will allow the tech company, based in the Marches, to accelerate product development, broaden their sales team, and increase their marketing reach. CFP Composites - The Dudley-based manufacturer have received a £750,000 investment from Midven, allowing them to expand in employee size and give them more capacity to continue to create ground-breaking products. Unique IQ - The investment will allow the Redditch-based workforce management solutions provider to create jobs over the next 3 years and continue to invest in its in-house development. Following a busy period of growth and investment in the West Midlands, we're excited to welcome two new analysts to the Midven team. Graduates George Wood and Liam Bradley will bring problem-solving skills and real energy and enthusiasm to their roles, adding a fresh outlook and input to our added value approach to its portfolio. We’re delighted Liam and George have joined Midven at such an exciting time of development and progression at the firm. Both are eager to hit the ground running and focus on how they can add value to Midven's funds. Thanks again to all who joined us to celebrate Midven’s 25th anniversary and the launch of our new Greater Birmingham EIS fund (GB EIS). Check out our animated timeline to explore the growth of Midven and the region since 1993. Plus, hear from some of our team and portfolio companies as we reflect on the last quarter of a century and share our vision for the future of the West Midlands in our new company video. We've already had significant interest in our new GB EIS fund, which will further back high-growth ventures in the region, alongside MEIF. The GB EIS fund's benefits include 30% income tax relief, loss relief, tax-free capital gains, Inheritance Tax (IHT) relief, and the deferment of existing Capital Gains Tax (CGT). Cavendish House, 39-41 Waterloo Street • Birmingham, West Midlands B2 5PP • United Kingdom • Click here to unsubscribe.